Ethyl Glucuronide (EtG) is a direct biological marker that is formed in the body after the consumption of ethanol from drinking alcoholic beverages. 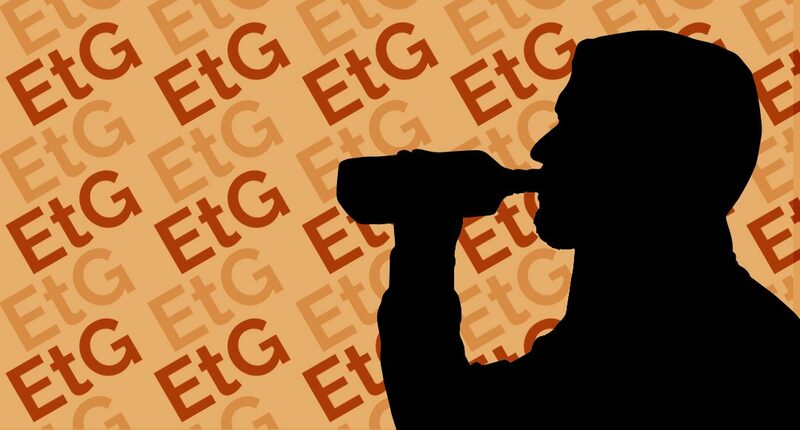 When someone consumes even relatively small amounts of alcohol, EtG is formed and can be detected. EtG may be detectable as soon as 2 hours after use and up to 80 hours past consumption. It is important to note that there are many variables affecting the window of detection. EtG is detectable over a period roughly 5-7 times longer than traditional urine ethanol testing. According to the National Council on Alcoholism and Drug Dependence, Inc., alcohol is the most commonly used addictive substance in the U.S., with 1 in every 12 adults suffering from alcohol abuse or dependence. EtG testing is not used to check for current impairment, rather screens for ethanol use. EtG and EtS are the only biomarkers recognized as appropriate for abstinence monitoring, based primarily on the time to return to normal levels following abstinence from alcohol. EtG testing can reduce alcohol abuse. 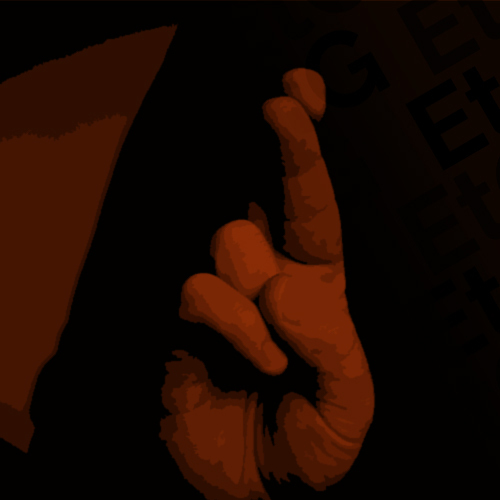 EtG testing allows for detection of drinking when individuals look to keep their use a secret. When persons with drinking problems know they will be tested, they usually will stop drinking to avoid penalty. Reduced rates of substance abuse has been reported from organized treatment programs utilizing routine EtG testing programs. Drug courts that use EtG testing also report greatly reduced alcohol abuse rates. trust that they are not. Does My Program Need EtG Testing? Individuals younger than the legal drinking age and members of the Armed Forces in combat zones where, regardless of age, drinking is prohibited. Individuals on probation, including adolescents, who have committed alcohol-related crimes. 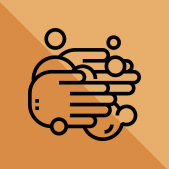 Individuals who have previous alcohol-related problems but have been allowed visitation with or custody of children with the stipulation that these individuals remain abstinent. Motorists who have had alcohol-related traffic convictions and who are now required to abstain as a condition of maintaining driving privileges. Medical personnel, professionals, attorneys and others who, because of previous alcohol or drug-related problems, have agreed to maintain total abstinence and accept ongoing monitoring as conditions for continuing their license or employment. Relapse assessment is commonly used as a way to measure alcohol dependence. However, the methods of assessing relapses range from questionnaires to biological markers of alcohol for different time spans. The aim of this referenced study was to compare the relapse rates of weekend home stays during long-term alcohol dependence treatment, assessed by EtG, breath alcohol tests and self-reports. RESULTS: Of the total, 37.7% of the patients participating in the study were positive for EtG at least once. Breath alcohol tests had been positive in as little as 4.4% and when interviewed only 5.7% of the patients admitted to their relapse. 15.6% of EtG tests were positive, but breath alcohol tests were negative. 93% of the relapses were only detected by EtG. CONCLUSION: In addition to breath alcohol tests and interviews, urinary EtG can clearly improve the verification of relapse in inpatient treatment programs. Without EtG testing, a high amount of relapses will stay undetected. Scenario Onsite Screen: The offender knows that he/she drank alcohol. Within minutes of giving their specimen they are confronted by their officer, case manager, or their counselor that they are positive for EtG. How likely is the offender to admit to drinking when the positive result is right in front of them and they are given the opportunity to explain themselves? Very likely! Why? Because when an offender is confronted with evidence immediately, he or she is likely to admit use. In addition, the offender may plea to the offense in order to receive a lesser sentence. This outcome can save the agency money as it removes the need for a confirmation test. Scenario Lab Screen: The offender knows that he/she drank and they are just hoping that you are not going to catch him, right? When a specimen is collected, NOT tested on an instant/rapid screen but then sent to a lab for the EtG screen, how likely is that offender to admit to drinking? Not likely! Why? Because they are hoping to delay the punishment, resulting in a slim chance of changing any behavior for the good. 500ng/mL – considered the “Goldilocks”, or “just right”, cut-off level for EtG in criminal justice testing. Positive results at this cut-off are consistent with recent ingestion of alcohol (approximately 48 hours prior to specimen collection). At a cut-off of 500 ng/mL, studies indicate that positive results are NOT associated with incidental exposure (e.g. mouthwash, hand sanitizer). The Court System and the Scientific Community agrees that 500 ng/mL is the not too low and not too high for court mandated drug and alcohol testing programs. 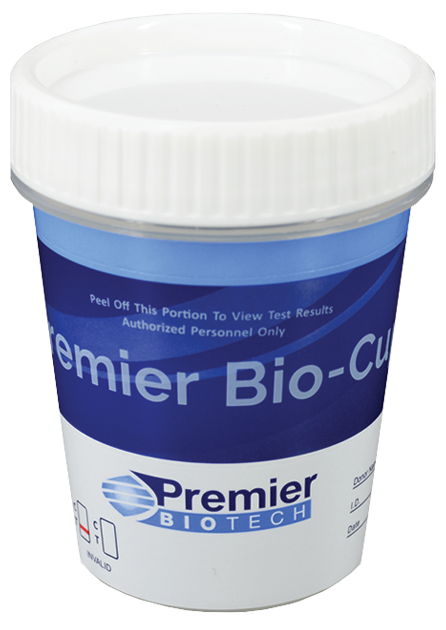 When EtG was first made available to the courts in the laboratory setting, the laboratories had the ability to test for EtG at various different cut-off levels, 100 ng/mL, 250 ng/mL, 500 ng/mL, and even 1,000 ng/mL. The scientific community had the ability to test lower, but that created positives that were caused by incidental exposure; making prosecuting violations difficult. In contrast, the higher cut offs were not sensitive enough and false negatives were widely reported. 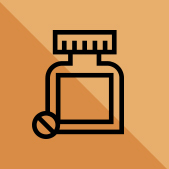 Although various screening cut-offs are still available to agencies using EtG biomarker, the courts and scientific community most often defer to 500 ng/mL. there are many variables that may affect this detection window. Experiment: Every 15 minutes for 8 hours used hand sanitizer, no subject had more than 62 ng/mL EtG. The screening cut off level for EtG 500 ng/mL – way under the threshold. Experiment: Three daily dose of 1oz. of Vicks Nyquil with 25% alcohol, the subject with the highest had only 246 ng/mL of EtG. That daily dose is well above the recommended dosage and it is still under the 500 ng/mL cut-off. Experiment: 55 people used mouthwash 3 times a day for 5 straight days. Each time holding the mouthwash in their mouths for 30 seconds (a long time). The highest EtG concentration, 120ng/mL. Rapid EtG is the best tool we have for abstinence monitoring and gives us the ability for immediate detection as opposed to waiting a few days after sending out to the lab.